I am excited to announce my partnership with Michaels craft store and their Passport to Imagination 7-week crafting camp for children ages 5 and up! Michaels thinks it is important to take the un-plugged summer pact, and cut back on at least 2 hours a day from any sort of time spent interacting with a technological screen. This summer fun craft camp couldn’t come soon enough! Today is the first day of our summer break, and already my kids are complaining about being bored! It could be a long summer. 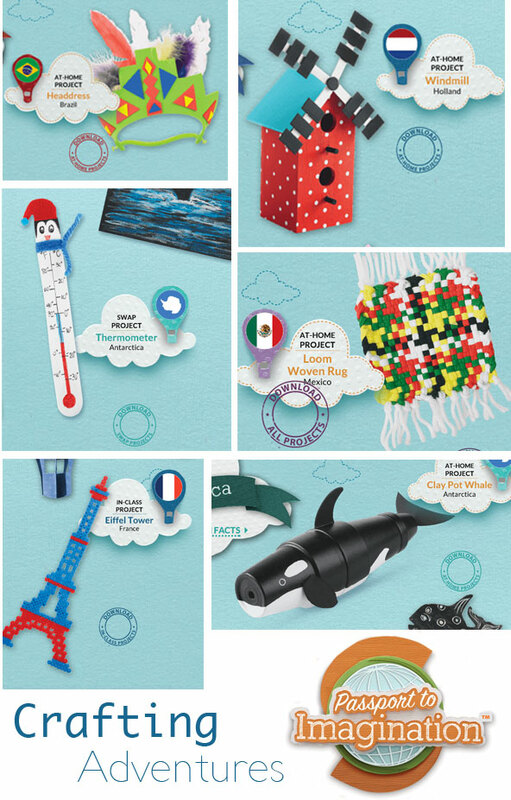 I am excited for my children to attend and make some very fun crafts that explore the 7 continents of the world! This will definitely help with summer boredom and keep them from being infront of the TV! The classes start June 17th, are held every Monday, Wednesday, and Friday 10am to noon at most Michaels stores, and are only $2 per session! (a steal!) Hope to see you there! To sign up and for more information, and stores near you, check out the Passport to Imagination page over on the Michaels Craft website.